A beautiful combination of raw walnut halves and pieces. 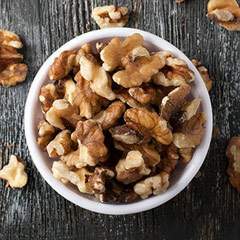 Delicious and crunchy walnuts have an exceptional taste, making these a delicious and healthy snack, or addition to a baked good. Walnuts are a snack you can feel good about eating.